I've been playing a fair bit of Kerbal Space Program myself. Even without mods, it is a very solid game now. Recently, I took a trip to Dres, in honor of the recent success of the Dawn probe. You can see my lander returning to my interplanetary bus here. I also started up a debris cleaning service. Since I don't like having debris in my orbits, I made a ship to collect and de-orbit debris. Seen here capturing its first spent booster stage. And now that 1.0 allows you to mine resources in space and use them to refuel your craft, I am now embarking on a mission to capture an asteroid and pull it into orbit around kerbin, so I can refuel my interplanetary craft without needing to do anything inside an atmosphere. The mark one refinery rig is just waiting for the target to approach a bit closer now. My shipping container office, processing garden shed and oil derrick were on their way to Mun... I never got my Karbonite pumpjacks launched... I never got a screenshot I now have only two flags left and my Eureka 7 Gekko will never reach my friends train-space station... no screenshot of them either I have been around since version 0.19 my gamedata folder had a Twinkee folder. Feeling very sad about the new update if I'm honest. If I see anymore contracts from tourists that want a suborbital 'trip' to the Sun! I may have to rollback to 0.9. This can be done using the steam / game properties / Beta settings. Those look like nice designs there, Icekatze. Been giving 1.0 a spin, and it's a pretty nice step up. I'm going to have to hunt down current versions of some of the mods I was playing with last time though... setting up a communications network is surprisingly compelling. I think the career mode might be fun with rewards set up to 120% of their base values or something clsoe to that, though. Doing my first career Asteroid Redirect Mission. Must have cost half the funds I had, and I only realised after launching the capture vehicle that I couldn't make use of the asteroid until I unlocked In Situ Resource Utilisation - drilling and ore to fuel conversion. Oh well, at least it'll get me High Over Kerbol data, and I'll be well placed later on for extended exploration. I also recovered all the money (plus extra) accepting contracts to pick up items in orbit, orbit Minmus, and put a flag on Minmus. Then there's my Mun mission, which now has a station (with lander) in place, but no fuel, and not enough solar power to run the lab. Holding off on Spaceplanes until I've at least get NERVA engines. Without those, I can't make space tugs, which are the only thing I'd be refuelling with them. Only Mk 3 Spaceplane parts are really useful for lifting. There are much easier and only a little more expensive ways to get probes to orbit. I can just see it in an alternate timeline, NASA after successfully landed on the moon realize that they due to a miscalculation they only have fuel for the return trip if they leave all stuff behind, like those moon rocks, and travel in their underwear turning the trip to a very expensive TV show. In reality some people have questioned the scientific value of the manned moon landings so in a way they where very expensive TV shows but still. I forget stuff a lot myself so I know how it is. The interesting part about the moon landings and space exploration in general aren't the discoveries/stuff that were brought back, but the technologies that were invented just to do all that stuff. Suffice to say that the world wouldn't have a lot of the things that we take for granted if NASA and co didn't invent some technologies necessary for space exploration. I wonder how the world would be without GPS for example. I wonder how the world would be without GPS for example. No unmanned drones bombing people? Unmanned craft would still have proliferated, but they'd be harder to position accurately. Cruise missiles arose in the era before GPS, and had to use inertial navigation and terrain-map recognition to find their way. But satellite technology is crucial to the real-time operation of UAV's, whether or not they're actually using GPS. Most drone-fired munitions are laser-guided, by the way, rather than GPS-guided. So GPS itself has very little to do with the actual act of drones bombing people. And to make my first post memorable lets go on a little rambling adventure into maybe slightly off topic . The conversation about drones got me thinking about how I perceived the Umiak on my first read through I saw them as drones not unlike ants ; so being space faring ants with their own special moral norms in a state of total war no less , why don't they use drones? . I mean it could be a weapon of mass destruction or even a large piece of scrap, if it hit a Loroi world hard enough it would cause significant damage . I wonder this mostly because space that has trade routes could theoretically be automated and you could use far less resources to cause a whole lot more damage to your enemy that you are in a state of total war with. Furthermore the main Loroi defence is not technological as far as the comic narrative portrays but knowledge based dependent on the far seers . I admit that I assumed a premise that the far seers can only detect life forms but i suppose that's why it's interesting to me , space has a great deal of empty . . well space between things so it's not totally unfathomable that a telepathic race could sense a lonely psyche out there, the distance over which it is effective I question from a biological stand point but given the lack of information on the far seers I will leave that tangent on it's own in the corner. It would be quite a feat I reckon if the far seers are making drone warfare impossible because they sense the "stuff" (ships , junk missiles etc) or even more impressive if they are sensing intentions or plans based on the people who know about the drone warfare as few as there are among the umiak high command . I also considered a fourth option while being decidedly paranoid in my thought processes are the mizol or agents like them able to use there mental abilities to alter perceptions? ; so the whole far seer thing a biological impossibility is just a ruse to cover up elite loroi spies who are invisible to you as long as they will it so and who operate in the refuelling bases closest to the border. I just discovered that Kerbals cost over 100,000 to recruit. If only I'd known this earlier. I went from 900,000 to 120,000 moneys just selecting four Kerbals to bring my space program up to its max 12 Kerbals in order to set up a Kerbin-orbit station for a contract. 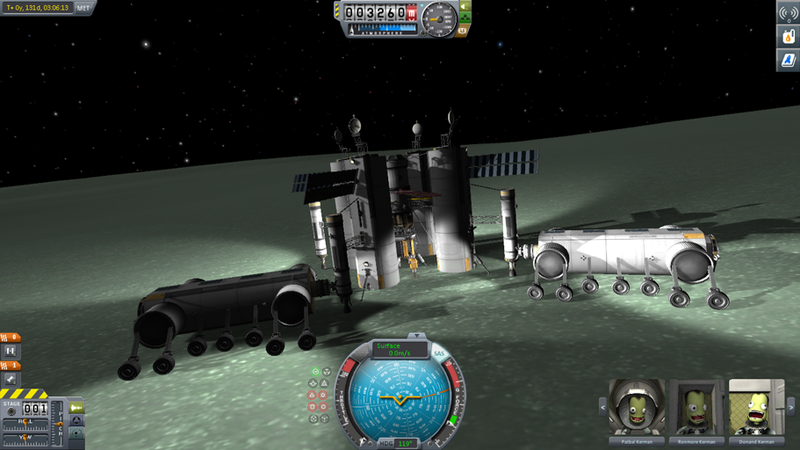 Now I've got to get a basic surface outpost to Minmus, but that shouldn't be too hard. 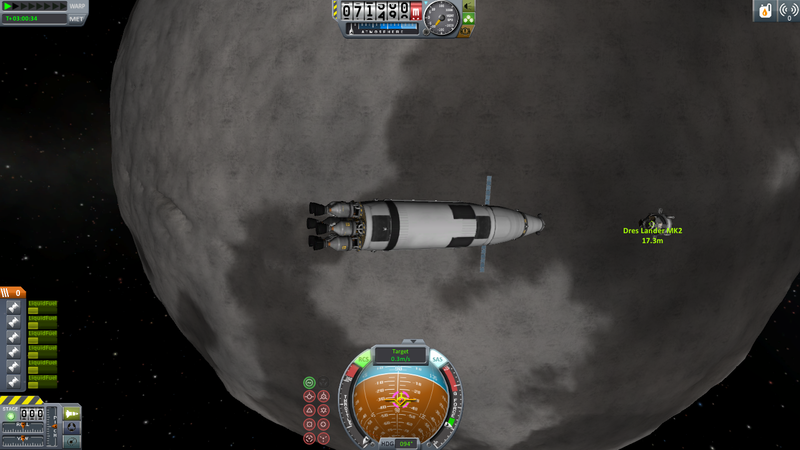 As for my ARM, the capture vehicle is on its way out of Kerbin's Sphere Of Influence and heading for the asteroid. It'll get there in about 30 days, presumably giving time for my Minmus mission to return. It has plenty of fuel left in an expendable tank, which I'll transfer to the engine tanks as I approach the asteroid, dump it, and grab the asteroid with the freed up claw. Oh, and I'm probably going to send that Kerbin station to the Mun and hook it up with the Mun lab, since the station has about six fold-out solar panels, which should be plenty. RedDwarf, you know that such a station won't need a crew to fullfill the contract? Currently trying to build a spaceship for up to 4 tourists that survives reentry. I do. It was an 11 Kerbal station. 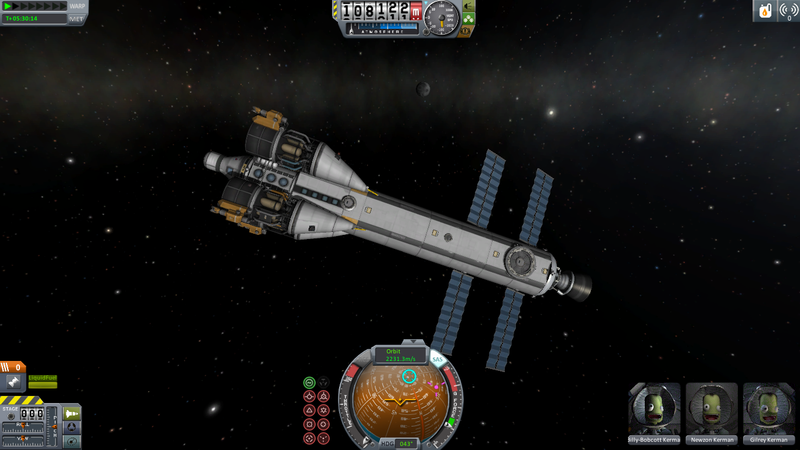 I put six Kerbals on it - three in the Orbital Rendezvous Vehicle, two in the Science Bay, and one in the command pod. 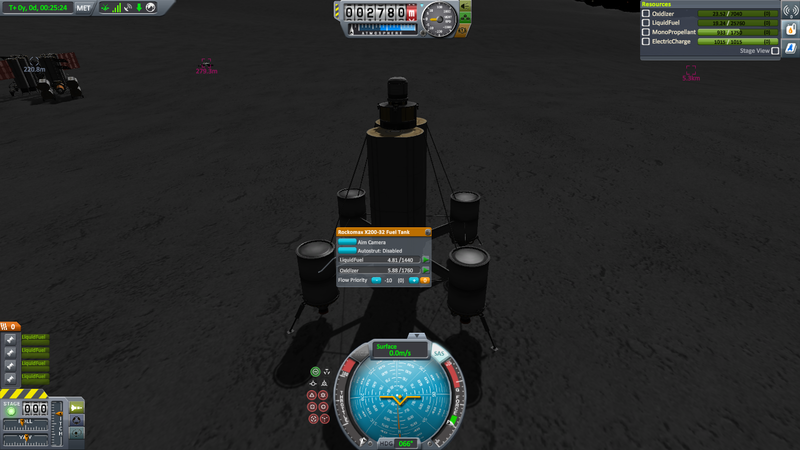 I did this because I planned on moving it to the Mun once the contract was complete anyway. I'm sure you're right, but I suppose GPS comes handy in bringing a drone in firing position. Doing my first career Asteroid Redirect Mission. Must have cost half the https://skinnyexpress.com/phen375-review-and-results funds for Phen375 I had, and I only realised after launching the capture vehicle that I couldn't make use of the asteroid until I unlocked In Situ Resource Utilisation - drilling and ore to fuel conversion. I just did the same thing, D'oh. Most drone-fired munitions are laser-guided, by the way, https://arydigital.tv/ary-digital-old-dramas/ rather than GPS-guided. So GPS itself has very little to do with the actual act of drones bombing people. Last edited by Arydigital on Sat Oct 21, 2017 2:42 am, edited 1 time in total. Still working with an unmodded version of KSP, I was able to build an interplanetary refueling network. First, I plop down a drilling and refinery rig on a spot with suitable resources. Then I use a dropship to lift the refined fuel up to the orbiting fuel depot. My various interplanetary ships can then refuel at any planet they go to... Assuming I don't overbuild them in the first place. 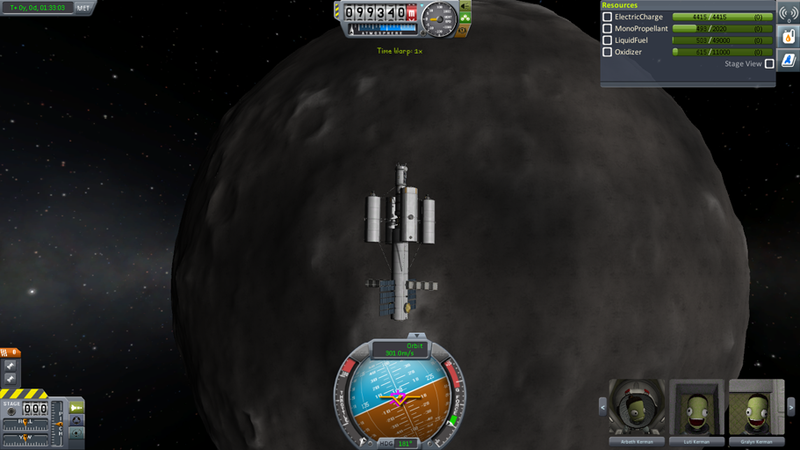 Still working with the phenq an unmodded version of KSP, I was able to build an interplanetary refueling network. Have you finished the unmodded version of KSP? If yes, please update here. I want to try it and am waiting for it since your post. Last edited by JasonXie on Mon Jun 18, 2018 6:44 am, edited 1 time in total. Well, Kerbal Space Program isn't exactly a game with an ending, though there are certainly goals. I haven't had a chance to play it in a while, but I did accomplish a lot of things so far, all while maintaining my strict stance on not leaving debris in orbit. I managed to visit Jool with some flybys. 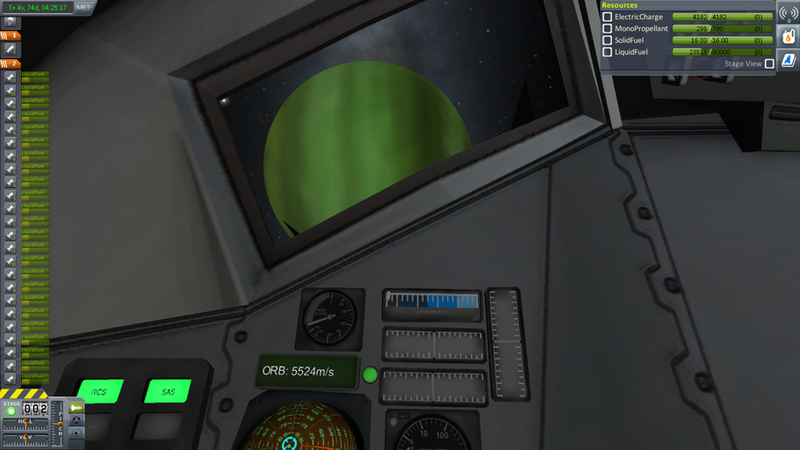 I think I already posted one image of my first attempt at a Jool flyby. I also had a huge rescue mission that sent a team all the way out to Dres, because my earlier expedition encountered a bug and their lander disappeared. 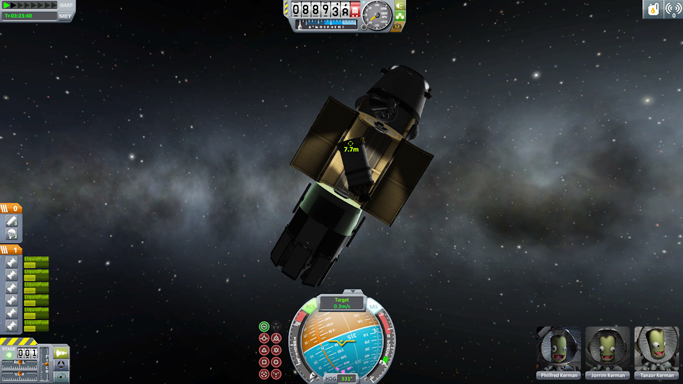 I made a lengthy post on the KSP forums, chronicling the whole misadventure. I suppose the only big achievements I still need to aim for in the vanilla game are landing a craft on Eeloo, which I have yet to visit; and landing on Eve and returning samples from the surface, which is possibly the hardest challenge in the game. After that, maybe I'll try out the Galileo Planet Pack, which provides an entirely new solar system to explore. I've started playing KSP before they implemented mining and always feels ISRU like cheating - it makes everything to easy. F2 to hide GUI, F1 to screenshot. I've also been playing KSP long before ISRU was added, back in 2012 to be precise. I have the exact opposite opinion, I think that ISRU is an interesting challenge in its own right, and that building a huge, multi-stage rocket to reach a planet in one go is significantly easier. Everyone plays the way he likes. No offence. Multistage rockets? 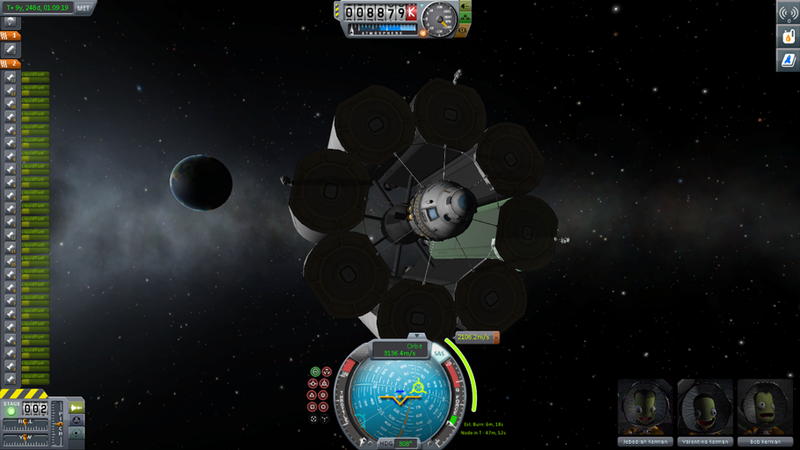 No, multi module ships assembled on orbit, with separate landing and return vessels. Rarely use something bigger than "size 2" tanks and mainsails.